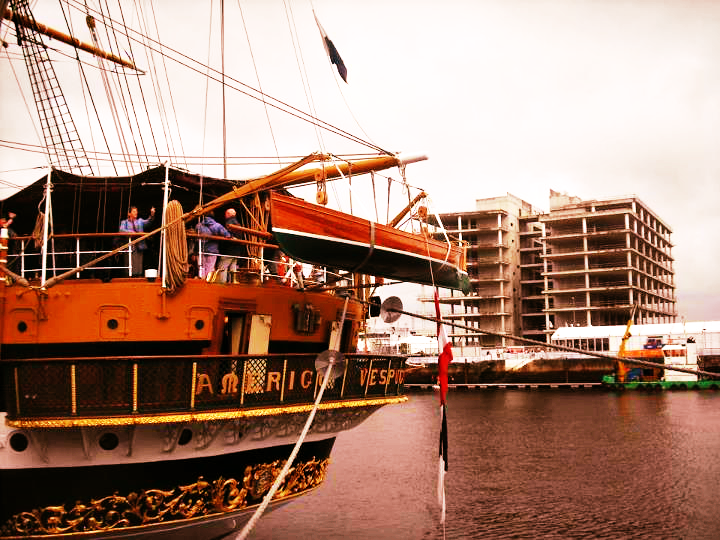 I miss the Tall Ships. | Come Here To Me! 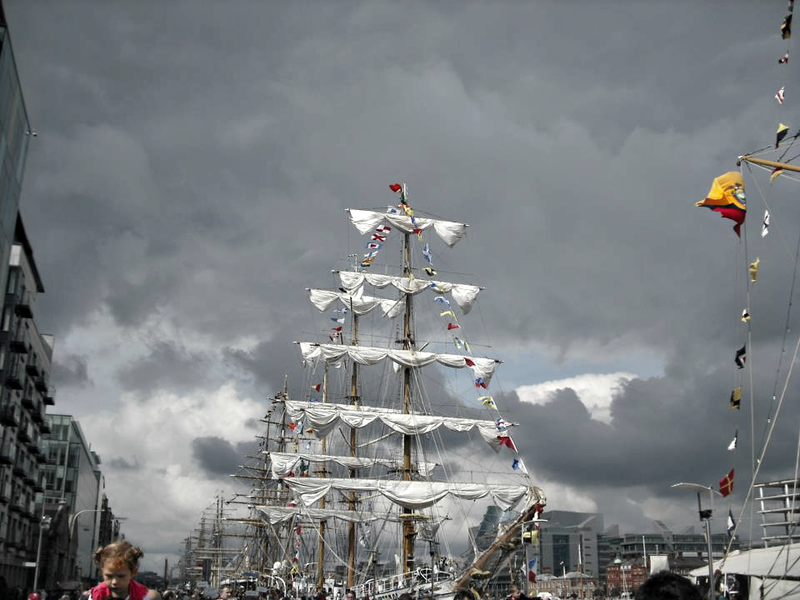 I miss the Tall Ships. What a fantastic few days that was. After a few days knocking around the docks, it was sad watching the ships sail out yesterday. If nothing else, the festival showed that the soulless kip that is the IFSC can be brought to life, and the sight of tens of thousands spilling down onto the quays for days on end was a joy to behold. 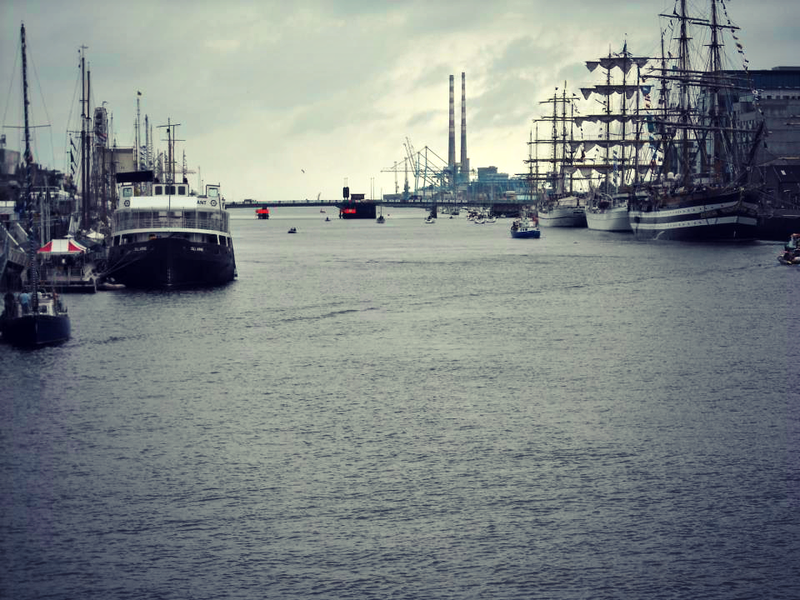 Sailors wandering from pub to pub, and Dubliners from ship to ship. I was lucky enough to board a few over the course of the festival, and even took the €2 Liffey Ferry with Jaycarax. We loved it. The weather was exactly as you’d expect for anything in Dublin, with the sun hiding until the last day. Rain ponchos were being sold for up to €7 by chancers along the quays, and it seemed some were more than willing to take them up on the ‘bargain’. 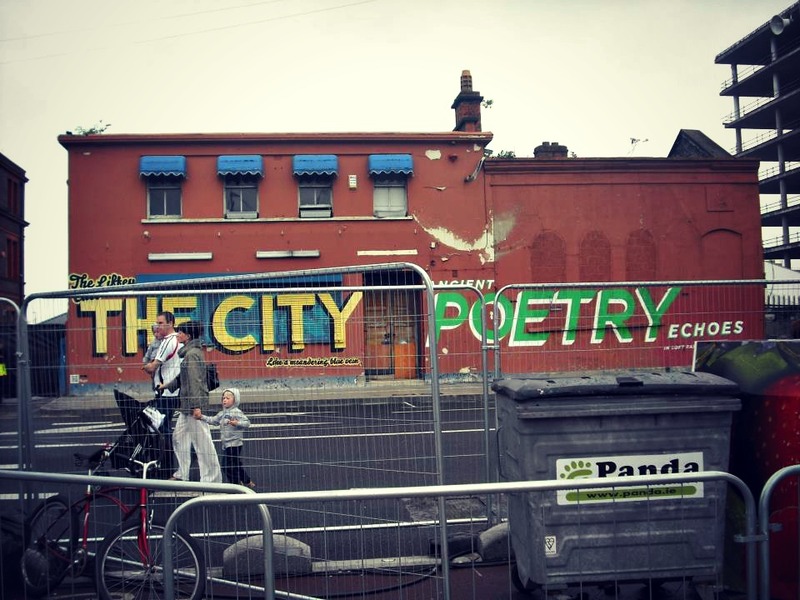 The Liffey cuts the City, like a meandering blue vein. Ancient poetry echoes, in soft rain down the lanes. Kings of Concrete and the Tall Ships Festival might have seemed strange bed fellows at first, but in the end the vibrant mix of street art and sports on the edge of the festival was a welcome addition. The Big Blue Bus was on hand serving up great pizza. 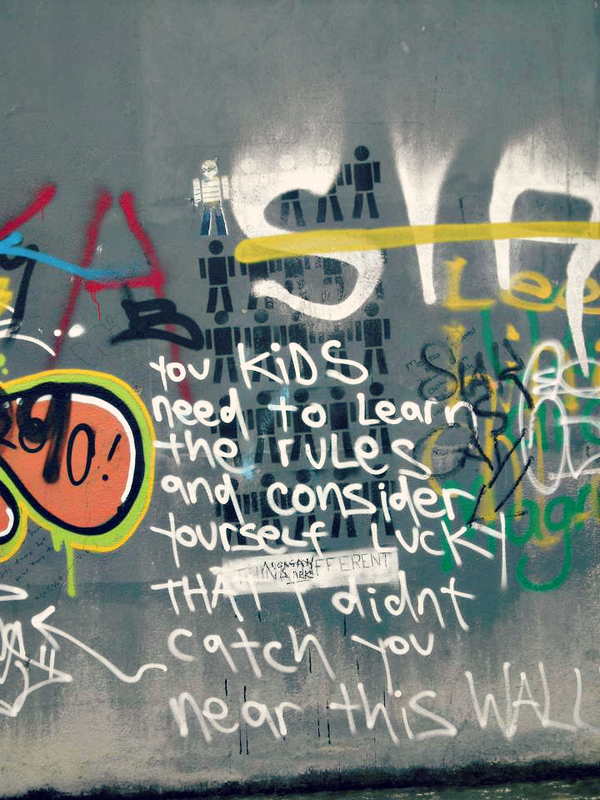 The rules of graffiti aren’t being obeyed by all clearly…. Really the only downside with it for me was Bulmers having a monopoly on the booze on site, which meant popping over to The Black Sheep for a sly one to avoid the rain! On the Sunday the police estimated there were 250,000 people on the South quays and the same on the North Wall. It was a bit marred by the usual disorganisation. The ships leaving at 11 am on the Sunday caught a lot of people off guard. All afternoon there were people arriving with children who didn’t know all but two ships had left. The Italian ship was not part of the Tall Ships. They got permission on the day to lay over for another 24 hours much to the annoyance of locals. It was still there today and hardly a body near it. Next year, if it’s on, I’ll be out on the South Bull Wall with the camera ready. There’s a few more snaps here.